Christ Church in Spitalfields is an operational church in the London Borough of Tower Hamlets. The Grade I listed building was completed in 1729 and is widely regarded as a masterpiece of English Baroque architecture. The redevelopment of the crypt allowed the space to be opened to the public for the first time in the Church’s 300 year history. 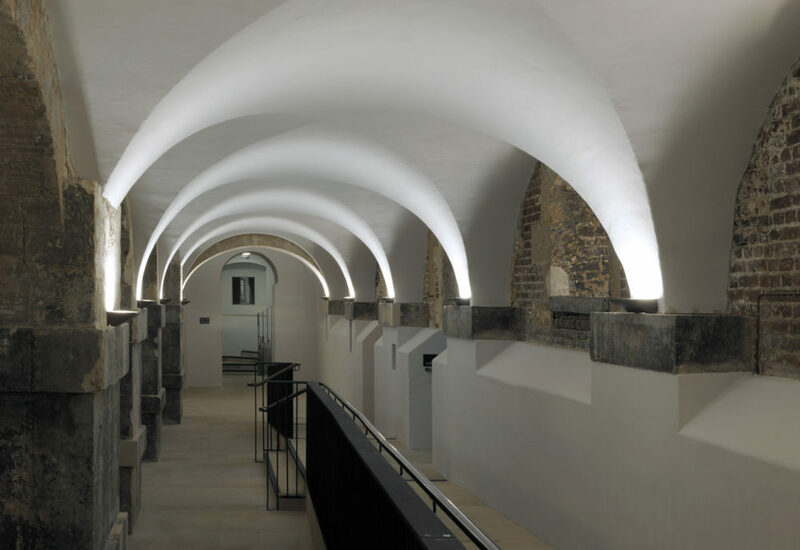 Designed by Dow Jones Architects, the crypt redevelopment was shortlisted for the 2015 President Award from the Ecclesiastical Architects and Surveyors Association and the National Churches Trust. 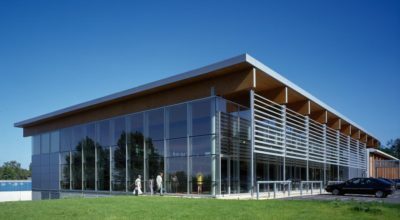 It was also shortlisted for a British Woodworking Federation award. The brief for the project was to provide spaces for performance, prayer and the parish, as well as a cafe, kitchens and toilet facilities. The overall design objective was to create a more useful space for the evolving users of the church while maintaining and preserving the original architectural features. 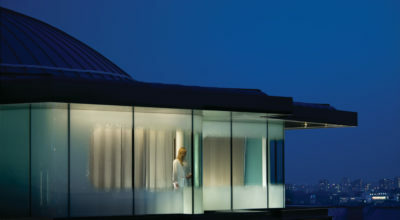 Both in terms of design and acoustic performance, the crypt needs to both feel connected to the nave yet be able to function and operate independently. To achieve this, our acoustic design needed to allow for noise breakout from different spaces to be controlled, minimising the impact of spaces on one another. For example, the occupied cafe should not detract from on musical performances taking place in the hall. This made sound insulation and the performance of enclosing elements an important factor. In order to assess the ideal levels of sound insulation, all of the proposed spaces and subjective activity levels were plotted and recommendations provided for the ideal level of sound insulation. 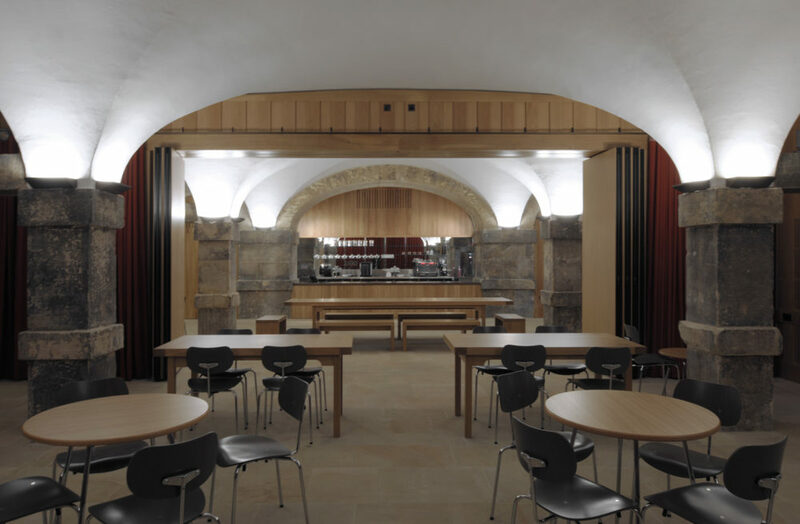 However, given that the Crypt has a number of interconnecting doors and air transfer routes, close liaison with the design team and client was needed to achieve a realistic sound insulation performance and the practical measures that could be taken to achieve this agreed. A range of acoustic treatment options were also provided that would allow for the space to be used flexibly and have the variable acoustics necessary to accommodate both speech and classical music.